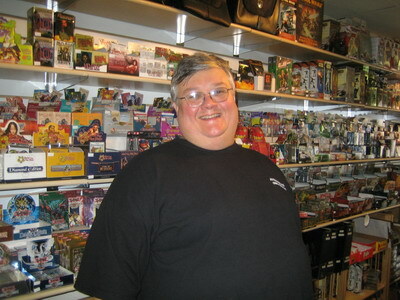 Alternate Universes is a chain of family-owned stores specializing in trading card games, board games and miniatures games. Each store has tables available for customers to use while playing their favorite games. For new players, we offer demos of games we carry to help you get started. We hold regularly scheduled tournaments for Magic: the Gathering, Yu-Gi-Oh! and Pokemon as well as trading card games. Special events are held several times a month for prereleases or big-prize tournaments. Alternate Universes now has 3 locations, one on MacDade Blvd in Holmes, Pennsylvania, one on Dekalb Pike in Blue Bell, Pennsylvania and one on Silverside Road in Wilmington (Talleyville), DE. For our schedule of regularly scheduled tournaments, check out our calendar. For more information about any of our games, contact us.